It seems that whenever someone in our staff finds a video, it is probably online and requires using it “off-line”. During the school day, our network could bog down and causes problems during class time. Downloading that file, storing it and then using it when you want to seems to be the best solution for that problem but invariably the format needs to be changed for some reason or another. If you should do all of this on a Macintosh, a free video file converter, Prism, seems to be a good one for multi-format video conversion and fairly easy to use. 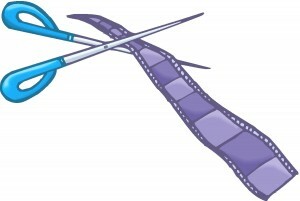 It converts AVI, MPG, 3GP, MP4, MOV, FLV and other video file formats. A list of photo editing sites that not only allow the photo to be re-sized and edited, but also add effects. Sumo Paint – One of the most popular and oldest online photo editors around. Sumo Paint has lots of nice tools for editing a photo such as brush, shapes, crop and looks a lot like PhotoShop. Aviary – Aviary is one of the best online suites on the web for doing lots of multi-media things, including editing photos. Not only does it have an educational portal, but it also has browser extensions, and a very nice user interface. Splashup – A great site that is similar to Sumo Paint that allows users to edit photos and adjust pixels and layers as well. Cloud Canvas – Another great site for editing photos that allows users to draw, crop, and paint. Phixr – An easy site to use to upload a photo from a computer or social networking site and then edit by adding images or text. iPiccy – A great site for uploading a photo and then editing it with tools such as, text, drawing, or paint. Imageoid – A site that is similar to iPiccy for adding effects to an image. Citrify – An excellent free online photo editor with lots of options to choose from such as touch-ups, effects, etc. Fix Picture – A nice site for converting, resizing, or rotating an image. Picjuice – A site similar to Fix Picture where a user can crop, resize, rotate or adjust a photo. SnagLearning: This site has free downloadable films on numerous topics, can be searched by topics: arts & music, children’s learning, math & science, history, foreign language, political science & civics, foreign culture & geography. Grade levels are available and are free to use in the classroom. Films are streamed from such channels as National Geographic, NOVA, or Discovery Channel. Other videos sites are reviewed in this short video, “Top 10 Educational Video Sites for Teachers and Learning”. Automatoon is a free service for creating simple to complex animations that you can reuse anywhere on the web. There are three basic steps to using Automatoon. First, you draw and color your images. Second, you break apart each element of your drawing and third, you specify the animation action for each part of your drawing. There are three basic animation actions that you can specify: bend, move and change. Automatoon uses HTML5 so you what you create can be view on devices like the iPad 2 that doesn’t support Flash. 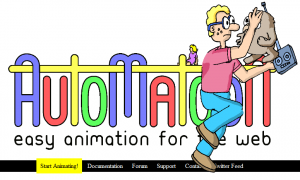 Here is a video tutorial on creating animations using Automatoon. FedFlix is a good source for teaching lessons on the 20th century political, military, or cultural history of the United States. FedFlix is hosted by the Internet Archives, and is a collection of over 2000 films produced by the US government during the 20th Century. The topics of these films range from training films to history, arts and music, news and public affairs, sports videos, from our national parks to the U.S. Fire Academy and the Postal Inspectors, all of these fine flix are available for reuse without any restrictions whatsoever. These films were produced by the United States Government and can be viewed, downloaded, embedded or shared. 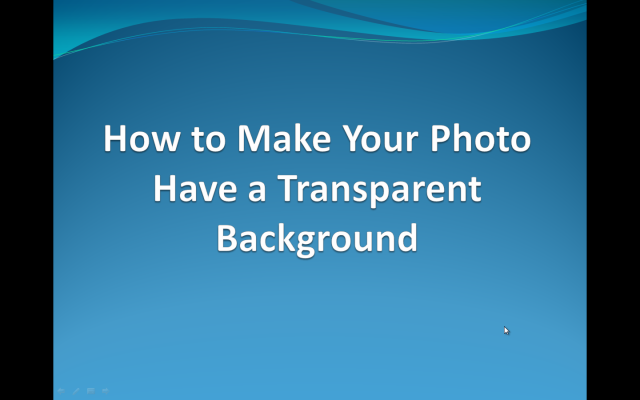 Along with the videos, audio and text files are also included. This “Internet Archive” is being provided by a non-profit organization working in conjunction with the Library of Congress and the Smithsonian Institute to preserve historical collections that exist in digital format.